Food is an excellent companion to paddling, and Charles River Canoe & Kayak is happy to arrange catering from any local restaurant. 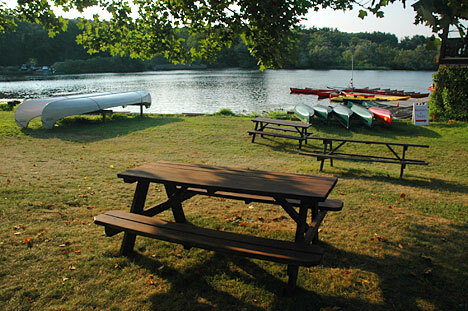 Each of our locations has a waterfront picnic area, and individuals and groups that paddle with us are welcome to use them. Our picnic area in Newton is shown at right.